On Tuesday afternoon of March 10th, I sat down with Ashlee Carrozza and interviewed her for “Tell Me Your Story.” We were located in the Writers’ Center at the Art Institute of Pittsburgh and immediately I knew Ashlee had a bubbly personality; the way she laughed and smiled, which indicated that she always looked at the positives in life. I had a feeling this interview was going to be interesting when she asked me if I was ready. 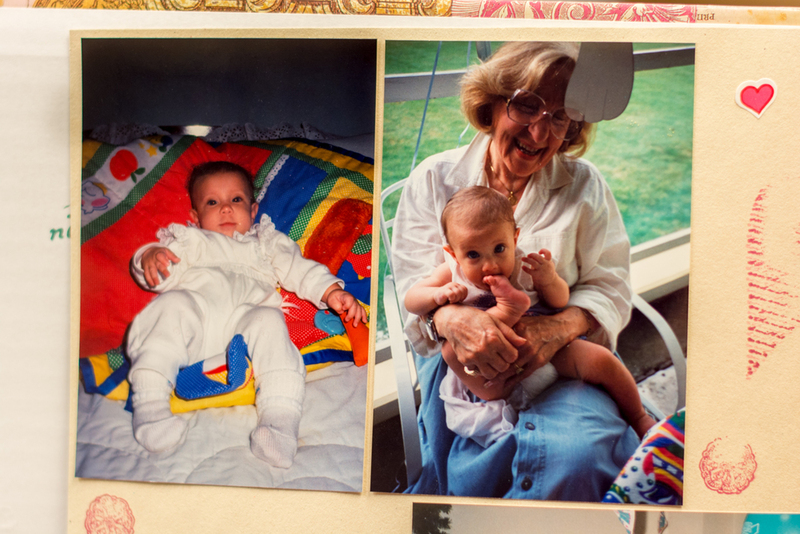 Her story starts when she was only eight months old, and her parents divorced. Her parents got married after she was born, which clearly ended abruptly since they divorced when Ashlee was nine months old. Since they had divorced, Ashlee and her mom packed their things and moved into a house with her Aunt Jeni, Uncle Johnalan, and grandma. Ashlee was five years old when her sister, Jena was born. Jena has a different father than Ashlee. Around the same time Jena was born, Ashlee’s dad got another woman, Kimmy, pregnant. So Ashlee actually has another half sister; her name is Alexa. Ashlee barely sees her now. She saw Alexa once when she was older at a fair. Alexa was staring at her. Alexa recognized Ashlee, but Ashlee couldn’t say the same. Ashlee thought her dad was going to marry Kimmy, but something happened and they broke up. Kimmy would want to see Ashlee behind Ashlee’s dad’s back because Kimmy hated him, but Ashlee just couldn’t do that. I then asked Ashlee if she knew how her sister felt about not seeing her father at all. Ashlee then lived with her family, Aunt Karen, Uncle Louis, and cousins Sandy and Samantha on Saint Claire Street in Bridgeville. They lived there for a year before moving to Battleridge because the house was falling apart. They moved into a house, but her mother didn’t have a job, so her uncle was actually paying for it. This house was Ashlee’s favorite. It had a giant hill for sled riding, a fire pit, and a pavilion. The woods were practically in her backyard and they always went exploring through them. They had two cats at this house, Sylvester and Boots. Living there really rooted Ashlee’s love for nature and animals. Ashlee also had a neighbor named George who played a large role in her life. He would always go places with them. They always hung out at his house and he helped them build bonfires and such. I asked her again if she remembered him and if she liked him. Ashlee started the 4th grade then. She then moved in with her mother’s boyfriend. He had a daughter named Savannah. Ashlee had to switch schools because of the move and she remembered that experience quite well. She only had two best friends from her old school. She hated her 4th grade teacher. And when I say she hated her, I mean, she HATED her. Ashlee emphasized that very well for me. It was because her teacher had Ashlee’s own mother in school and didn’t like her at all. She apparently failed Ashlee for no reason, so Ashlee was kind of glad to move, finishing the 4th grade in the new school. But at her new school came new people, and all the girls there were really mean and bullied Ashlee. Ashlee’s mother and her boyfriend broke up and since they were living together, they had to move out. Ashlee’s sister was attending preschool at their old school, so Ashlee’s mother and sister moved back to their house in Battleridge, staying in an apartment that was connected to it, whereas Ashlee moved in with her great grandmother so she could finish 4th grade in the new school, which she did. After finishing 4th grade, Ashlee moved back to the Battleridge house, joining her mother and sister, for the summer and some of early fall before their courageous move to Florida. They decided to move to Florida because the apartment they were in was too small for them, and Ashlee’s Aunt Jeni and Uncle Johnalan already had an apartment in Florida, which they were living in, and invited Ashlee and her family to live with them. They drove all the way to Florida, and had five people living in one apartment. Ashlee remembers part of the long drive to Florida. She was excited to move to Florida. She was optimistic about everything, actually. She just remembers selling her stuff, getting money, and being able to move to a new state. Ashlee remembers that they lived up in the loft in the cramped apartment. They only lived there for four months though, not long at all. That’s when Ashlee started 5th grade. She didn’t do well in 5th grade, mainly getting C’s. She didn’t like her teacher, again, so they ended up moving, again, to a big house, along with her aunt and uncle (her mother also didn’t like the small apartment). I asked Ashlee how her sister, Jena, was feeling through all of this. Ashlee tried to remember if anything stood out, but she noted that her sister didn’t really say anything. She probably didn’t mind the move because she was close with her mom and that’s all that mattered. Once again, Ashlee had to attend a new school. She didn’t like the school because the hallways were outside and, again, she had a really mean teacher in 5th grade, who would only give them five minute recess when they were supposed to get a half hour. Besides the school, her grandpa and step grandma lived in Florida with her Uncle Alex and she loved spending time and seeing them. Florida was too hot though for poor Ashlee. She also didn’t like the bugs, snakes, and fire ants that Florida had to offer. It was clear to say she wasn’t an outdoor person, she stayed inside a lot. So, she liked the beach, but everything else freaked her out. This woman cracks me up. Ashlee once again switched schools for 6th grade, but they didn’t have to move for this case. Unfortunately, the middle school that was closest to her was the farthest from her friends, so all the friends she made during 5th grade moved to other schools. She had to make friends all over again. “That school was the worst school I have ever been in." Ashlee then continued to tell me how her classes were in portable homes; trailers if you would say, and how the AC would always break so the heat was unbearable. But also, their curriculum was an entire year behind Pennsylvania, so she wasn’t challenged whatsoever. She made a few friends at the school however, and her home life was still pretty great. After two years in Florida, Ashlee had to move once again, this time back to Pennsylvania. She was only two months into 6th grade during the move. Her aunt and uncle were moving out of the house, so naturally they had to follow suit. When they moved back to Pennsylvania they ended up staying with one of Ashlee’s friends in South Fayette because they were homeless for six months. After the six months they moved to National Hill and got a small house. Her Uncle Johnalan brought up the rest of their stuff from Florida for them because they couldn’t fit it all when moving to PA.
During all of this, Ashlee had piano to turn to. She started taking piano lessons during 7th grade, but when she was little she would always play on her great grandma’s keyboard. 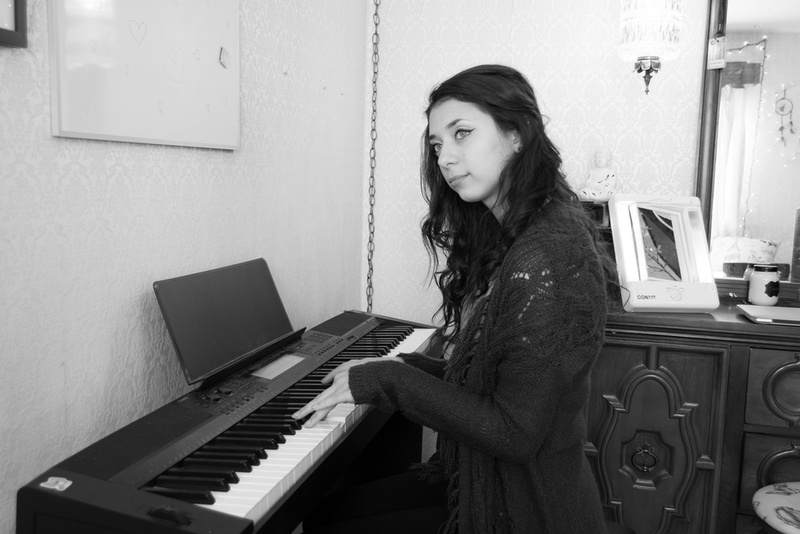 Ashlee thought piano was beautiful and interesting. It’s still her favorite instrument to this day. It was also the very thing that got her interested in music. In 8th grade, Ashlee joined chorus. She would always go to class early to play the piano in the music room. 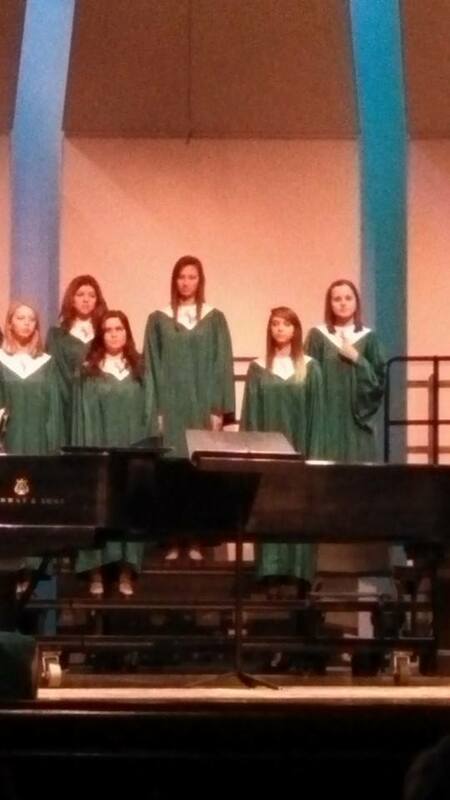 There were only 13 people in the chorus, so Ashlee didn’t really make a lot of friends. She was an alto and joined because she wanted to continue from Florida where she didn’t really get to experience chorus. She loved learning the harmonies. They move once again, this time to Old Oakdale. They simply wanted a bigger house and they didn’t like their landlords, who lived right next to them. Ashlee, now in 10th grade, dated for the first time Her and her boyfriend were together for two and a half years, but she says that she should have broken up with him way before then. She said she found him kind of mean but since he was her first boyfriend she didn’t want to let go. One of the only good things that came from this boyfriend was that he got Ashlee into playing the guitar. He had a guitar and he would play for her and teach her. She asked her family for a guitar for her birthday and gladly got one. She still has the exact one till this day. 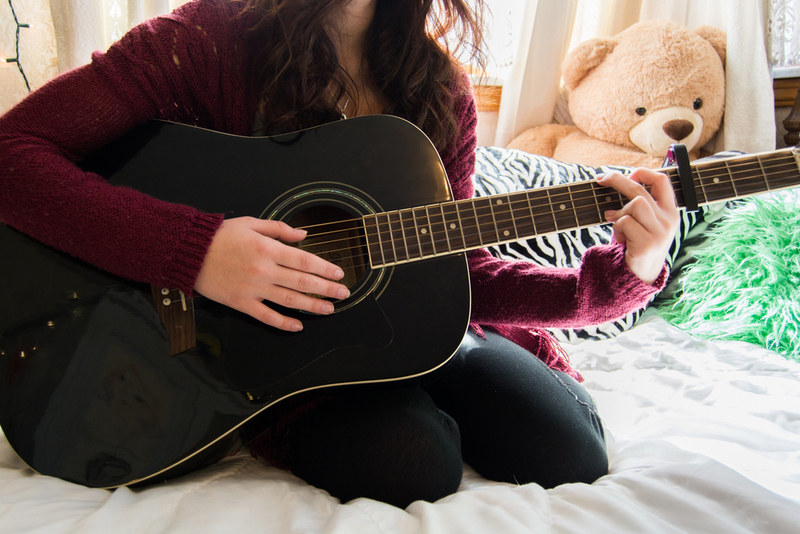 She loves how the acoustic sounds, calming her and occasionally singing along as she strums the strings. 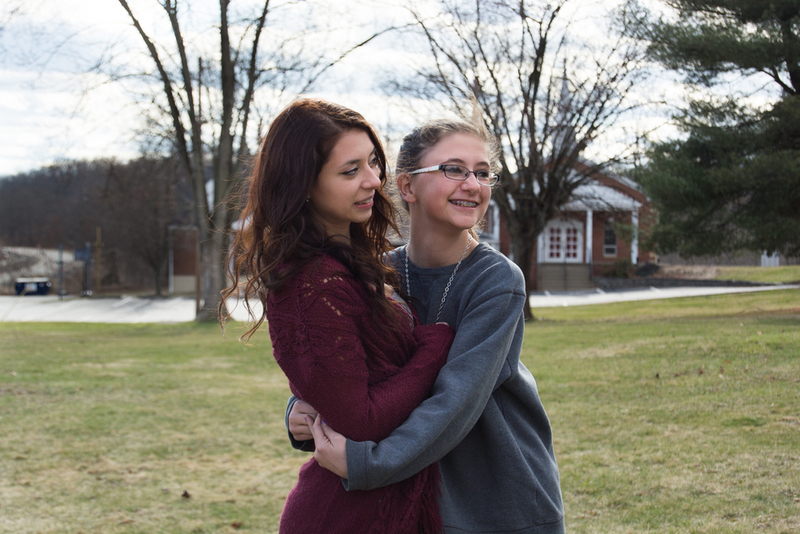 While in 11th grade, Ashlee’s family moved once again, but for the last and final time. The reason for this move was because they were renting the house before, which was too expensive and falling apart, and her mother wanted to buy a house. Even though she had to deal with another move, Ashlee found something to keep her occupied. 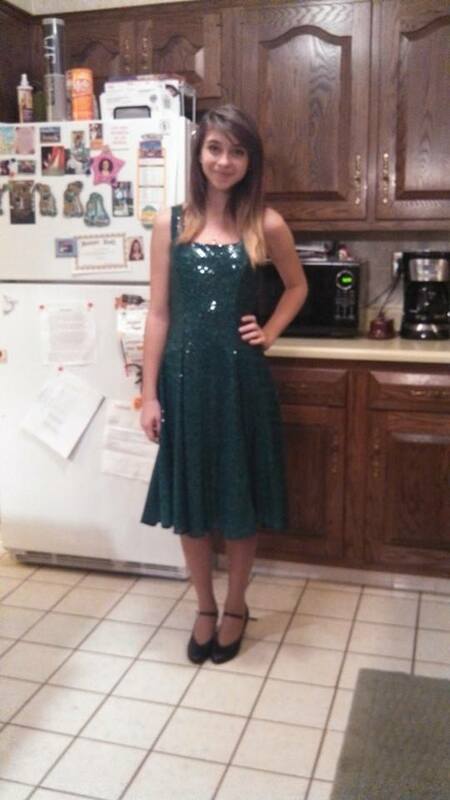 Ashlee auditioned for Show Choir at her school. She loved choir and wanted to try Show Choir because they got to dance, go to special events, and got to wear sparkly dresses. But most importantly, they got to sing separate songs than the regular choir. A week later Ashlee got the news that she had gotten in the Show Choir. She was ecstatic, and a little worried about the dancing portion, but all she cared about was the singing. She loved Show Choir, even though it was competitive for the solos. She had fun and it was her favorite extracurricular activity. In 12th grade, Ashlee’s boyfriend decided to end the relationship because there was someone else, relieving Ashlee. Three months later Ashlee started dating Trey, who is her current boyfriend. They met in poetry class in school and had theater together. Theater is where the two really started talking. They hung out a lot after prom and on graduation night he asked her if she wanted to go out to eat afterwards. After eating they watched the stars together in a field until 2AM. About two months into their “relationship” Ashlee asked Trey if he wanted to make it official since they were practically dating. He said yes, of course, and picked June 7th as their anniversary date. He wouldn’t even kiss her for three months because she was his first girlfriend. What cuties! Ashlee is now in college, attending The Art Institute of Pittsburgh, for portrait photography. She got into photography because she modeled for her friend Natalie in 8th grade and then she started taking pictures. Everything fell into place. Bruce had a camera, which Ashlee asked to use and now claims as her own. She’s still playing the piano and guitar in her spare time. She laughs when she says that but I tell her that’s a good reason. Seeing what she’s gone through and endured, I can understand her not wanting to let someone go even if they are already gone. She and Trey have been together 1 year now and are very close. Looking back through all her moves, Ashlee is happy with who she is. She said she could have turned out a lot worse, but she gladly hasn’t. The only bad thing she got from all the moves is separation anxiety. She doesn’t like losing people after so many people in her life have just gotten up and left. Seeing her dad only four times a year increased that anxiety because she found out he was going to rehab for alcohol and drugs. He doesn’t have a job or pay child support. Ashlee’s great aunt pays for his apartment rent and she’s pretty sure he collects unemployment checks. I asked her why her aunt pays for his rent and she just said that her aunt has a lot of money and feels bad for him. I agree with Ashlee when she states that she thinks her aunt shouldn’t pay for him because he needs to get his life together. Jena is doing well too. She likes Bruce a lot, even after rejecting all her mom’s other boyfriends over the years. She doesn’t bring up her dad, so it doesn’t bother her too much; with being a cheerleader she has a lot on her mind. She’ll be starting high school in the fall at South Fayette High School, scary for Ashlee to think about. Ashlee still isn’t super close with her mom. She’s not the type of person to be very open and talk about everything because she doesn’t like to be lectured. So she’s always been quiet and kept to herself, her reason for possibly never getting close to her mom. She’s closer to her sister, Jena, than her mom. Ashlee has thought about moving away after college graduation, but most likely won’t have the money for it. She admits that she’s terrible at saving money, which she needs to work on. She’s got her whole life ahead of her and she’s embracing it as much as she can. Always keeping positive and making people smile. With her bubbly personality, she can never go wrong in doing that. Thank you, Ashlee Carrozza, for letting me interview you and get to know your story. I was very interested in your hectic seeming life, but I’m glad to see that you are doing well now and following your dream. I hope your mom stays happy and your sister stays positive like you. It was a great honor to share your story with everyone else. You’ll inspire many!